The Committee on the Rights of the Child released its concluding observations on Wednesday for each of the countries whose reports were reviewed during their current session. This included the report of the Holy See. The press coverage was extensive and as you probably know the Committee's report was hard hitting, with many strong criticisms and specific, concrete recommendations. I will discuss other aspects of the Committee's session later, but in this post I would like to address the overall impact and impressions of the Holy See report and conclusions. First, lets look at the Holy See's report itself. It was filed 14 years late. 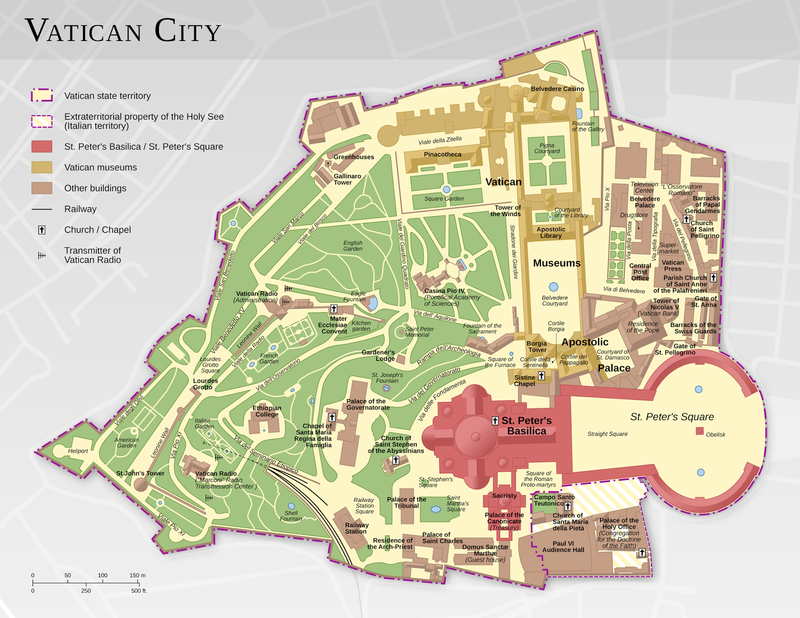 The Vatican had last appeared before the Committee in 1995. They were supposed to submit updated reports every five years. This report was submitted in September 2011 but it had been due since 1997. As a consequence, most of the revelations about priest and church hierarchy abuse had surfaced since the last report had been filed. Second, the length of the report, 41 pages, is actually below the page limits recommended by the Committee (60 pages) even though it was a combined report, covering 16 years of activities. Most state reports are much longer, often exceeding the 60 page limit. The Vatican has also elected not to file what is called as a common core document, which could cover some of the more generic information about its government, legislation and demographics which is common to all treaties. Common core documents are submitted by most governments, and have a recommended page limit of 80 pages. Since the Vatican didn't file a core document much of the material in their report was actually generic in nature and could have been moved to the core report, had they elected to submit one. So the actual detailed information in the 41 page report that they submitted was far less specific than in most state reports. The third criterion I usually look at in assessing the completeness of a report is whether or not it addresses the concluding recommendations of the Committee from the last report. In this case, that would mean, did it cover the recommendations from the 1995 report of the Committee? Here I thought the Vatican did a fairly good job of responding to each recommendation of the 1995 report. Although the quality of the responses was not great, at least they made the effort to respond in some form to each of the recommendations. Many states don't even do that much in their reports. However, even on this point the Committee was quite critical of the delegation for failing to effectively respond to their prior recommendations. In terms of the Committee's concluding recommendations, they covered 16 pages and 67 paragraphs, with 32 of those being specific paragraphs with recommendations. Taking into account subparagraphs and subpoints I counted at least 76 separate recommendations. The full text of the Committee's report can be downloaded here. The Committee has requested that the Holy See file its next report no later than September 1, 2017, in 3 3/4 years. This is a relatively short time period as these deadlines go and it means that the government will need to get busy in responding to and implementing the 76 recommendations made. There will also be pressure put on the Vatican to demonstrate early progress toward implementing these recommendations, especially the ones that are reasonably simple to implement and/or that the delegation indicated at the hearing it was already considering actions on. The next treaty body hearing for the Holy See is this May, before the Committee Against Torture (CAT). The dates of review have been tentatively set for May 12 and 13. The sessions will also be webcast. Many of the same questions and criticisms will no doubt be raised as were made in the Committee on the Rights of the Child, but clever advocates will try to push the agenda forward by pointing to the conclusions of this Committee and the assurances made by the delegation here as well as statements of the Pope and the Church in public media, to produce tangible evidence of concrete actions that the Holy See is taking. If you would like to follow the developments before CAT you can check the Committee website and also track the latest news on Twitter with hashtag #HolySeeConfess. The NGOs CRIN, CCR and SNAP are also likely to cover the CAT proceedings very closely, as they did with the CRC hearing. The Holy See is also overdue on two other reports for treaties that it has ratified: the Convention for the Protection of All Persons from Enforced Disappearance (CED) (one year overdue) and the Convention on the Elimination of All Forms of Racial Discrimination (CERD) (14 years overdue). One would hope they would submit those reports soon and that those treaty bodies would also have an opportunity to question the delegation on its human rights obligations in the not too distant future.